Can Fiber Reinforced Polymers Withstand Ice Storms? Ice storms are severe weather events that have battered areas of the US and Canada with increasing frequency in the last few decades. Also known as glaze events, ice storms are characterized as conditions with high winds and freezing rain that result in the deposition of at least a quarter of an inch of ice. This differs from standard blizzard conditions due to a phenomenon called undercooling. Where a typical winter storm will lead to an accumulation of snow that may melt or gradually freeze over, rain droplets of below 32°F (0°C) will strike surfaces and rapidly form a film of ice. This is problematic for power poles, transmission lines, and telecommunications where a gradual build-up of ice can be severely disruptive. One of the most severe ice storms on record hit Quebec in 1998, lasting five consecutive days and depositing as much 4.5 inches of ice. 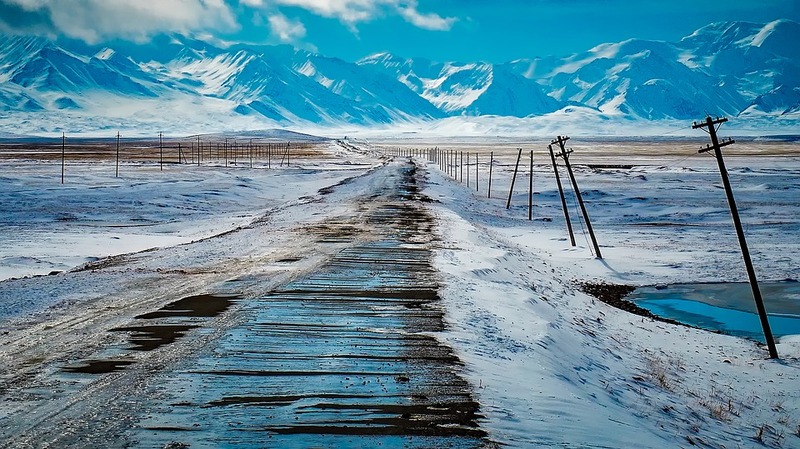 This unique weather event destroyed 1,000 steel pylons and 24,000 wooden poles, downing thousands of miles worth of transmission lines and leaving millions of civilians without power for up to a month. Fiber reinforced polymers are envisaged as one of the primary ways to mitigate the extent of damage caused by routine weathering or severe weather events. This blog post will explore how infrastructures can be enhanced by replacing established materials like aluminum, steel, and wood with fiber reinforced polymers. The accumulation of glaze ice on free-standing structures can add a significant amount of weight to the structure. Even the lower threshold of a quarter of an inch can add hundreds of pounds to a transmission line, causing it to increase the strain on neighboring power poles. In many instances, these lines will merely snap, yet there is a risk that rapid accumulation of ice on infrastructures will cause poles to collapse – potentially in a catastrophic cascade of multiple towers. Fibre reinforced polymers exceed conventional materials due to their enhanced strength to weight characteristics. Wood power poles are typically used to elevate few transmission or telecommunication wires due to the lightweight yet comparatively weak nature of the material. Steel is preferred for extensive transmission arrays, but the cost of constructing steel pylons significantly exceeds that of wooden alternatives. Neither of these is equipped to withstand severe thermal cycling or additional loads in excess of 500 pounds-worth of ice build-up. Power poles constructed from fiber reinforced polymers weigh approximately 60% the weight of steel alternatives and are significantly stronger than wood. This translates into enhanced ultimate moment capacities to ensure that poles can withstand additional weight due to ice deposition. Strongwell provides the SE28 fiber reinforced polymer power pole for transmission and telecommunications arrays, with pole lengths ranging from 55 – 8 feet (ft). This covers an exceptional range of capacity of 128 – 191 foot-pounds (ft-kips), providing reliable resistance to additional weight in adverse conditions. We have also designed innovative splice plates and cross members to insulate electrical components on rooftops. These unique fiber reinforced polymer products are proven to withstand winds of up to 100 miles per hour (mph), and up to 50 mph when laced with up to 0.5-inch of ice. Strongwell is one of the world’s leading manufacturers and suppliers of fiber reinforced polymers for industrial and commercial applications. 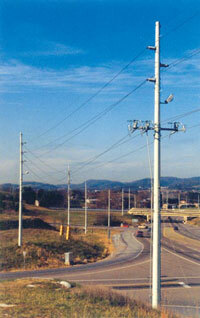 Our power poles offer a myriad of benefits to infrastructural applications. If you would like to learn more about this product, read our previous blog post: Fiberglass Power Poles for Safer Infrastructures. Or, contact us about our fiber reinforced polymers if you have any specific questions.